Milo Yiannopoulos has laid off staffers of his media company Milo Entertainment Inc. after unexpectedly losing funding, according to a report from Politico. A source told Politico “He fired everybody” from Milo Entertainment Inc., a subset of Milo Worldwide LLC. 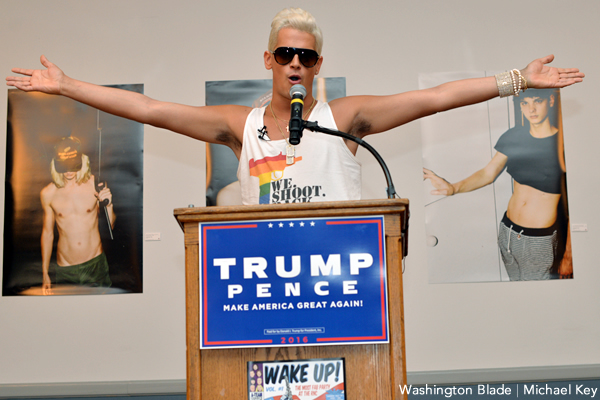 Yiannopoulos started the media venture after resigning as editor from Breitbart in 2017. GOP donors Robert and Rebekah Mercer were the original financial backers of the venture but severed ties last year. Cryptocurrency billionaire Matthew Mello planned to fund the company but after dying of a drug overdose on April 16 funding became uncertain. Journalist Chadwick Moore was reportedly let go but continued to spend time with Yiannopoulos unaware of the situation. “I haven’t a clue what you’re talking about. I’m just an editor. I got paid today and the work continues,” Moore wrote in an email to Politico. CEO Alexander Macris, who was also laid off from the company, had to deliver the news to Moore. According to Politico, Yiannopoulos was meant to inform Moore. Yiannopoulos told Politico that Moore and Macris were let go because the cost of their health care was too high but they remain compensated through other Yiannopulos ventures.